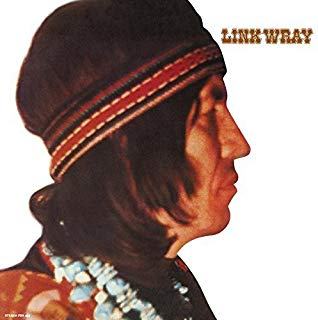 Late fifties and sixties rock guitar pioneer Link Wray resurfaced, now approaching forty, with a different type of an album. It was a blend of country, blues, and r ’n’ b, which was something of a change from his usual riffy, guitar-driven instrumental work. It is, however, a really good album. This was the first Link Wray I heard. I didn’t know of the earlier stuff, so this is the sort of thing I thought he did. It has a loose, jamming sort of feel to it. It was recorded in rudimentary conditions, apparently, in a chicken coop on Wray's farm, but the sound is still perfectly acceptable. There is an appealing “live” feel to it. It is one of those great early seventies Americana albums. There are hints of Little Feat and Bonnie Raitt’s first three albums all over this album. For me, “La De Da” sounds like The Band meet Little Feat meet Leonard Cohen in his “Death Of A Ladies’ Man” phase. It has that same “wall of sound” derived sound as the latter and similar backing vocals. “Take Me Home Jesus” sounds so much like Neil Young in places, particularly in the vocal delivery. It also has echoes of The Beach Boys' “Cotton Fields”. The swampy “Juke Box Mama” has a big, bluesy thumping drum beat and some gruff, soulful vocals and a rollicking barroom piano. There are bits that remind me of The Band in this. Even more swampy is the infectious "The Rise And Fall Of Jimmy Stokes", a blues slide guitar-drenched narrative tale of a Southern States no-good. Another artist influenced by this is Willy De Ville, in his later career. "Fallin' Rain" has echoes of Bob Dylan's "It's All Over Now Baby Blue", Them and early Van Morrison in it. It has a delicious low-key bass line too. "Fire and Brimstone" is a rhythmic that brings to mind The Rolling Stones on "Exile In Main Street". "Ice People" has more Stones feel about it. It surely influenced them on "Exile" the following year. The lyrics have Wray reflecting on the Native American experience, of which he had first hand knowledge, as a Shawnee. "God Out West" is a stomping, home-made gospelly number (what were they stomping on I wonder?) with some excellent slide guitar. "Crowbar" is a proper slice of down-home, recorded in a shack blues with some seriously copper-bottomed guitar and some typically blues lyrics about prising his woman open with his crowbar. "I'm a crowbar baby and I'm a gonna pull out all of your nails...". As the cliche goes, they don't write 'em like that anymore. 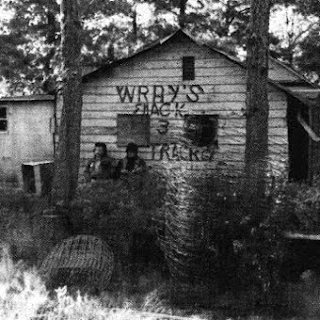 "Black River Swamp" is a soulful lament that builds up more and more, it is so evocative, moving and emotional. Some lovely mandolin parts on it too. "Tail Dragger" is a superb, stonking slab of country blues to finish on. It cooks, big time. In fact, so does the whole album. A (comparatively) under-mentioned gem of an album.